This tube skirt has a coloured centre-field with fine stripes. 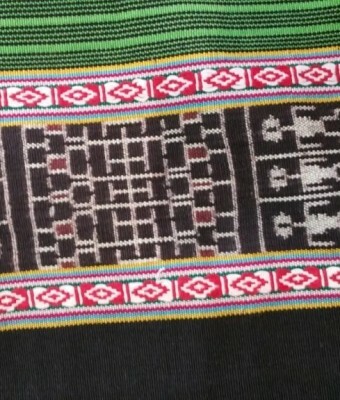 It has a decorative band at the head and foot of the cloth. The warp-ikat in this band features an motif of small human figures, and is bordered by a warp-float motif. 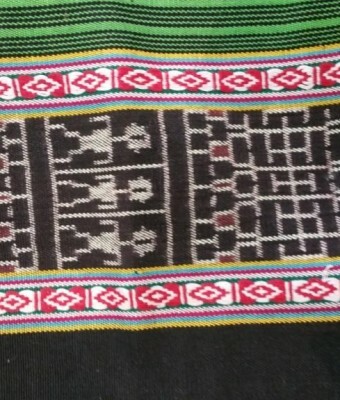 The motif is the 'diman ema' or 'diman boneca' motif, used sometimes by Suai Camenaca weavers to replace the traditional 'diman' motif, which is a row of spears that derives from Indian patola trade cloth motifs. 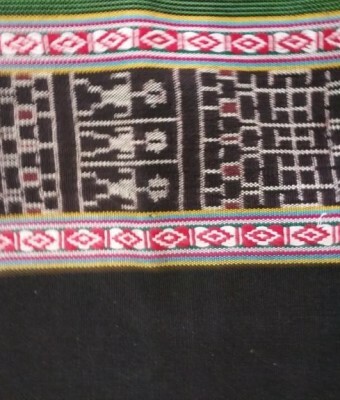 (The traditional 'diman' motif features on the textile FA02). 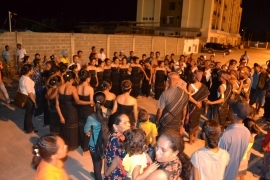 In traditional ceremonies, such as the 'bei-mau' ceremony that is celebrated in these 'fehan' (lowlands) communities, a young woman is required to have several types of this tais to be able to participate in the ceremony. A good weaver always prepares good 'tais feto' for her daughter to participate in this event. Handspun and commercial thread, with natural and synthetic dyes. 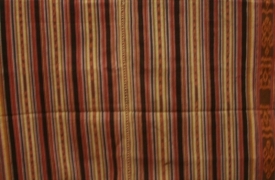 Warp-ikat and warp-float techniques in the decorative border bands.